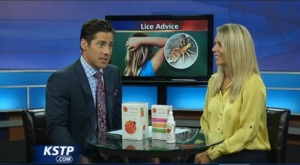 head lice prevention tips Archives - Ladibugs Inc.
September 10, 2013 by Ladibugs Inc.
Help your family prevent head lice by following some tips we gave our friends at WCCO this morning. Edward Moody from WCCO, stopped over (along with Dave) to our Hopkins head lice center location to learn a few tips on how to prevent head lice. Christina demonstrated how our FDA cleared medical device works and what to expect during the louse removal process. September is head lice awareness month and it is more important than ever to understand what head lice is, how to treat it and most importantly how to prevent it. Remember that Ladibugs does free head checks. If you have any questions please do not hesitate to contact out hotline 1-855-804-8889. September 3, 2013 by Ladibugs Inc.
Back-to-school is the time of the year where parents need to be aware of head lice. As kids go back to school, they may be bringing home more in their backpacks than their school books this September. They’re creepy, they’re crawly and they’re much more than an inconvenience. Ask any parent who has ever had to deal with lice and they will tell you they can wreak havoc on the household. But now there is help available for parents to both prevent and deal with the little critters. September is Lice Awareness month and there are an estimated six to 12 million infestations in the United States each year. Make sure to check your children for head lice. Ladibugs offers free head lice checks during the month of September in any of the Ladibugs Lice center locations: Hopkins, Woodbury and Rochester. 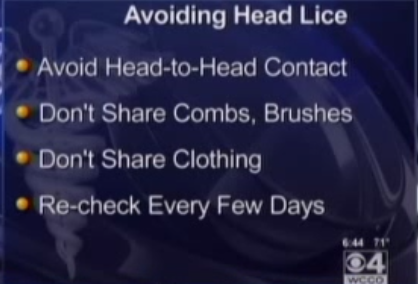 Check out the tips to head back to School head lice free we gave to our KSTP-TV friends.